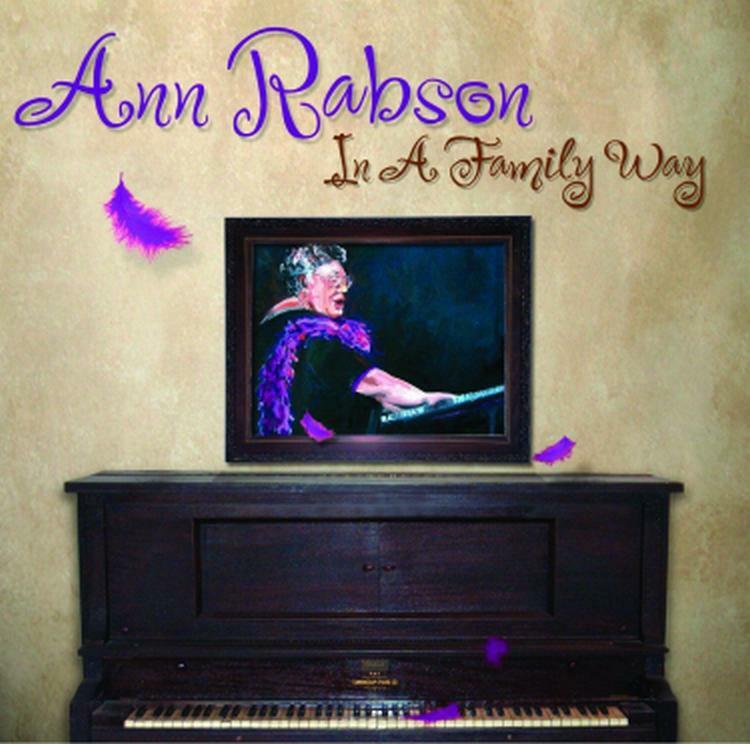 Ann's family and The Blues Foundation have established the Ann Rabson Fund. Its goals are to encourage, especially through Blues in the Schools programs, an appreciation of blues music and its role in American culture, and to help young blues musicians improve their skills. The the fund had its genesis in the May 2014 Ann Rabson Memorial Boogie-Woogie Showcase, which was a sold-out success. We are grateful to all of you who attended, as well as those who couldn't come but made a contribution to the Pinetop Perkins Foundation -- and of course we are indebted to the musicians, volunteers, and sponsors who made it possible. Ticket sales, donations, and a raffle at the memorial event raised an additional $3,000, and along with some contributions from the two of us, that became the seed money for the Ann Rabson Fund. Ann loved performing -- in clubs, at festivals, on cruises -- and she especially loved performing for schoolkids (read her thoughts about it here), so that's where we decided to focus our efforts. We have made three grants from the fund, and the largest by far is directed toward Blues in the Schools. That project, to be carried out by Young Audiences of Virginia, will include performances in schools, and also professional development workshops for musicians interested in creating and presenting school programs. For more about the grants, please visit annrabsonfund.org. As you can see, we're not accumulating money in the fund; we're putting it to work, and we need to refill the coffers. There will be more fundraisers, but we have nothing planned right now, so we would appreciate your help. Click here for information on how to donate by mail or online by credit card. If you have questions or suggestions, email info@annrabsonfund.org. For how to join a mailing list for news about the fund, click here. Thanks, as always, for your support. We will post news of further developments here, at annrabsonfund.org, and through the email newsletter. We intend to maintain two websites -- this one and annrabsonfund.org -- but not two separate mailing lists. If you are already on Ann's e-mail list, you will remain on it (unless you ask to be removed) and will receive news about the Ann Rabson Fund and future memorial events. To join the list, e-mail maillist@annrabsonfund.org. Newsletters will probably come from an annrabsonfund.org address; it might be a good idea to add that domain name to your whitelist. 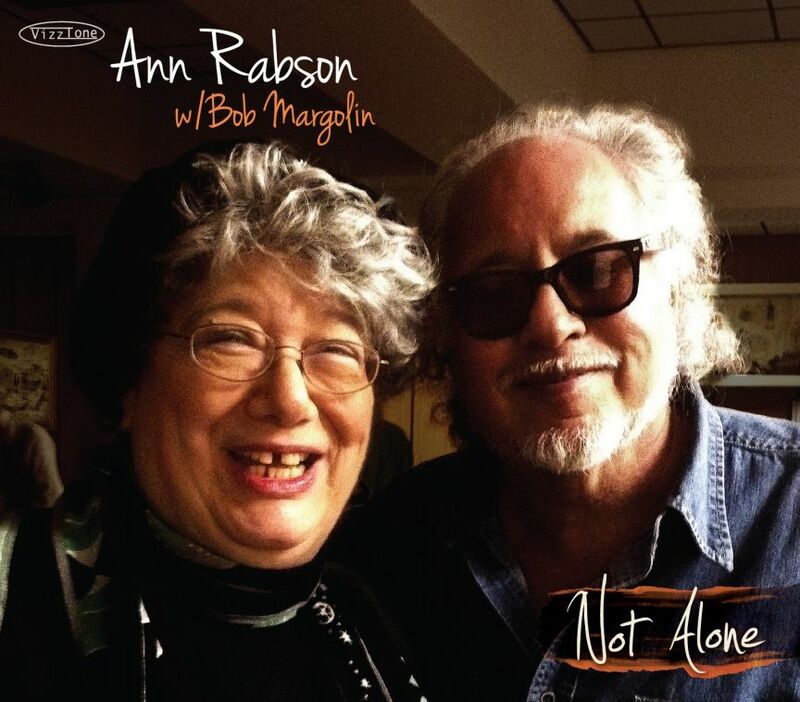 Ann's last album, Not Alone with Bob Margolin, won the 2013 Blues Music Award for Acoustic Album of the Year. 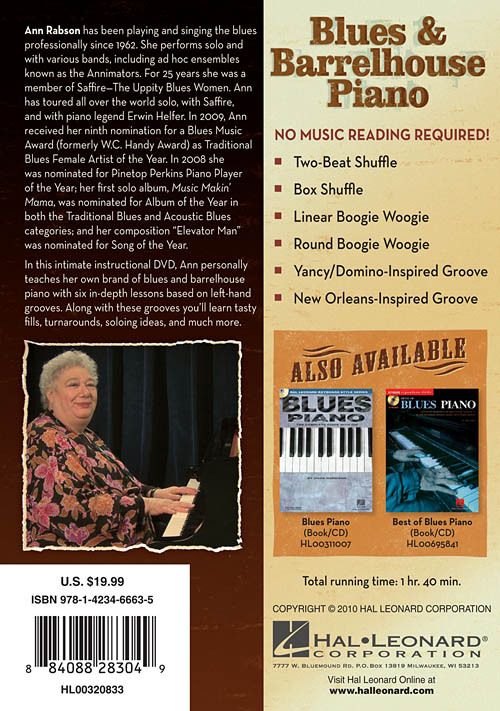 The folks at Hal Leonard have added a book to Ann's instructional video, "Blues & Barrelhouse Piano." This book includes the written music to go with the DVD. Some people learn better by ear, some with the printed music, so this should make it useful to more people. 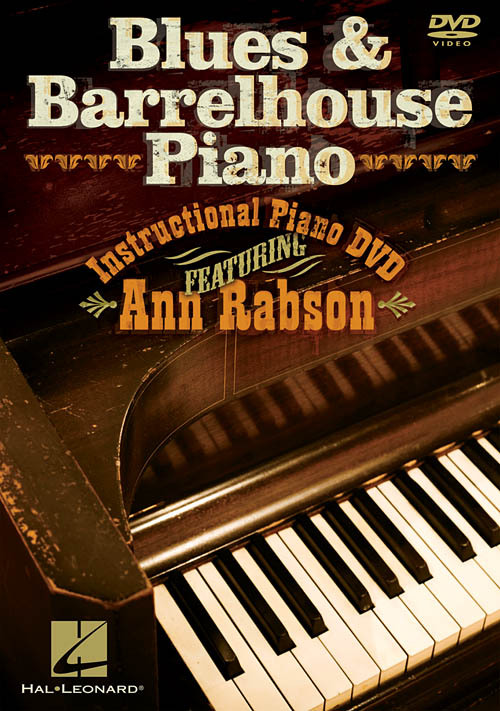 In this intimate instructional DVD, Ann personally teaches her own brand of blues and barrelhouse piano with six in-depth lessons based on left-hand grooves. With each groove, you'll learn to play tasty fills, turnarounds, soloing ideas and much more. Topics covered include: two-beat shuffle; box shuffle; linear Boogie Woogie; round Boogie Woogie; Yancy/Domino-inspired groove; New Orleans-inspired groove. 1 hour, 45 minutes. While Ann uses songs made up specifically to illustrate these grooves, fills, soloing ideas and turnarounds (turnsaround? ), the figures will be familiar to anyone who has heard her play. You can catch Ann performing some tunes on YouTube. There are four solo performances, and one with Steve Mitchell and Andy Seal (The Annimators). Thanks to Arnie Reed and Andy Seal for making these happen. 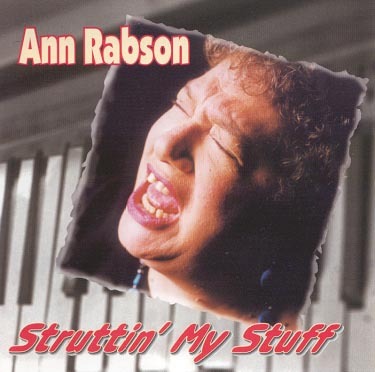 "Hopin' It'll Be All Right"
"He Really Makes It Hard for Me to Sing the Blues"
Ann Rabson began playing and singing the blues in 1962. She performed solo and with various bands, including ad hoc ensembles known as The Annimators. For 25 years she was a member of SaffireThe Uppity Blues Women. Ann toured Australia, Belgium, Brazil, Canada, the Czech Republic, Germany, Greece, Holland, Hong Kong, Italy, New Zealand, South Africa, Spain, and Switzerland, performing solo, with Saffire, and with piano legend Erwin Helfer. Ann was nominated nine times for a Blues Music Award (formerly W.C. Handy Award) as Traditional Blues Female Artist of the Year. 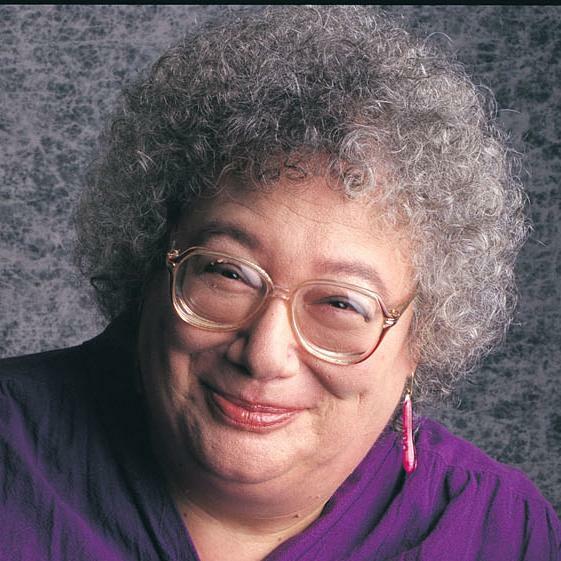 In 2008 she was nominated for Pinetop Perkins Piano Player of the Year; her first solo album, Music Makin' Mama, was nominated for Album of the Year in both the Traditional Blues and Acoustic Blues categories; her composition Elevator Man was nominated for Song of the Year; and her last album, Not Alone, with Bob Margolin, won the 2013 Blues Music Award for Acoustic Album of the Year. Click here for sound clips. Most of the cuts are me solo on piano and vocal. One is solo piano. A couple are solo vocal and guitar. 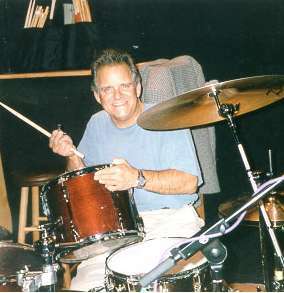 Several of the songs feature two wonderful musicians, the astounding Richard Crooks on drums and percussion and the legendary Marty Ballou on upright bass. On one song that I do with the fellows, I play electric guitar - a first! I sure had a ball working with the guys and with my co-producer, Bonnie Tallman. 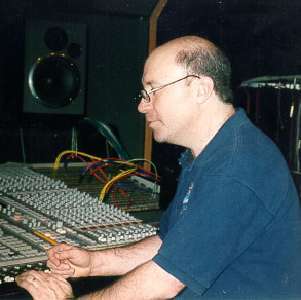 I was also thrilled to work with engineer extraordinaire Chris Murphy again. He's the same genius who engineered my "Music Makin' Mama" release. It's always a pleasure to work at Cue Studios, and I LOVE that piano they've got. Listen for a great bottom end! No jokes, now. I know you're going to enjoy listening to the album as much as I enjoyed making it! The songbook is currently out of print. Play along with me! 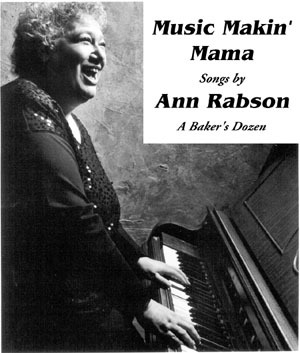 My songbook, Music Makin' Mama: Songs by Ann Rabson, contains 13 of my compositions, with score and words. Included are Annie's Blues, Don't Treat Your Man Like a Dog, Don't You Tell Me, Elevator Man, Hopin' It'll Be All Right, I Haven't Got a Clue, Music Makin' Mama, Prove Me Wrong, Rocket Ship Blues, Serial Love, Tomcat Blues, You Better Fly Right, and You'll Never Get Me Out of Your Mind. 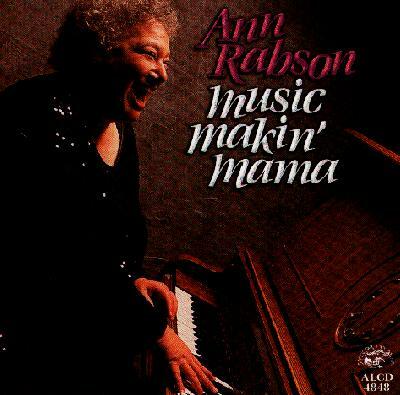 Whether you're just getting acquainted with blues piano, or would like to try some four-hand and play along with my recordings, I think you'll enjoy Music Makin' Mama: Songs by Ann Rabson. People sometimes ask me for recommendations of blues piano recordings, especially for someone trying to learn to play. I've compiled a list of some albums by people who helped shape my playing. There are many wonderful albums out there, so it was really hard to narrow it down -- I've set myself a limit of 10. I've tried to find ones that are available (what's the point if you can't get them?). I'm not including the boogie woogie players (Smith, Lewis, Ammons, Johnson, et al. -- with one exception) nor the New Orleans players (with one exception) nor those wonderful, jazzy, sophisticated West Coast guys I love so much (the Charleses -- Ray and Brown -- etc.) and limited myself to the low down blues. I'm not including the wonderful players I listened to on the juke boxes of my youth -- Little Richard, Johnnie Johnson, Jerry Lee Lewis, Ivory Joe Hunter, Smiley Lewis and Huey "Piano" Smith etc. -- with one exception. Any of these categories could produce its own Top Ten and write-up. I'm horrified that there are no women piano players on my list of 10, except for one song. I was very inspired by several women players, most notably Mary Lou Williams (in her Boogie days) and Georgia White. My folks had 78s of them. The women players' work that's still available has them buried in bands, so they don't make the cut. I guess Louise Johnson and her sisters weren't considered much worth recording. Our loss! I'd sure love to hear an album of Katie Webster solo. A must! Worried Life Blues to Chicago Breakdown and every single note in between is golden. OK, so he's from New Orleans -- but he fits right in with the rest of my gritty favorites. He's universal! OK, I cheated a little -- I just couldn't leave anything out. Mr. Yancey's my main man. If you want to start with one, you might want to start with the 3rd volume. Sunnyland has lots of releases. My favorite is "Live At The DC Blues Society" on Mapleshade, where he is solo, but this is no longer available. I like "Chicago Jump" partly because it's the band I know him with and love. Henry makes deep blues completely unfettered by those mundane musical rules. I admire his music tremendously. I love this album. I have at least 6 or 7 versions of the same LP with different covers. Just started collecting them for a lark. It's now available in CD. For those of you who've heard me perform the tune Pigalle Love, here's where it comes from. I've heard a rumor that this lovely album may no longer be available. That would be a shame. This is what accompaniment should be. Miz Wallace's singing is lovingly enhanced and enriched by Mr. Montgomery's and Mr. Sykes' playing. One cut features a charmingly idiosyncratic accompaniment by Miz Wallace herself. A great artist -- I never found him easy to learn from, but just love to listen. OK, so he's kind of West Coast/kind of boogie woogie and he was on my juke box. Still he makes the list. There are many others who have been a huge influence: Cripple Clarence Lofton, Georgia Tom Dorsey, Walter Davis, Alex Moore, and on and on. 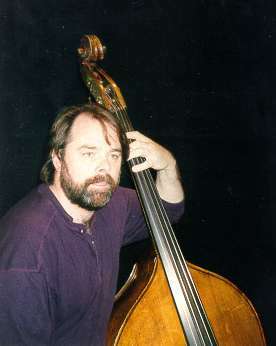 There are also some wonderful contemporary players you can hear in person like Joe Krown, Deanna Bogart, Erwin Helfer, Omar Sharriff, Marcia Ball ... to name a few. It's a big, beautiful piano world out there! For ages I've complained bitterly to anyone who would listen about the lack of available recordings by the outstanding Chicago piano legend Erwin Helfer. Now I want to let you know about the release of a wonderful new recording by Mr. Helfer. The CD is called "I'm Not Hungry But I Like to EatBlues," which is the title of one of Erwin's five delightful originals. Whenever I hear Erwin play his charming composition "Pooch Piddle," I think, for some reason, how nifty it would sound played by a Mariachi band. Another original, "Stella," which is a moving tribute to Estella "Ma" Yancey, is a lovely duet with saxophonist John Brumbach, whose soulful, tender playing graces four tracks. Other than that, the CD is ALL Erwin's superb piano. In addition to the originals, Erwin covers a variety of tunes. He starts with his take on the rollicking Pete Johnson classic "Swanee River Boogie." He makes Percy Mayfield's "Please Send Me Someone to Love" sound far more traditional than I could have imagined. Another high point for me is Erwin's take on "Do You Know What it Means to Miss New Orleans." I never thought much about that tune till I heard the Helfer version. It's so wistful. It feels like missing something lovely, lost and long ago. I could go on and on. There are no duds here. There are fifteen numbers in all and each one is a gem. The recording quality is really excellent. The piano sound is very real. I know nothing about recording sound but I hear the clarity, warmth and depth. Oddly, I love the way the empty spots "sound," like in the tunes "Dirty Dozens" and "In A Sentimental Mood," which have lots of sonic space. I may not be expressing this real well, but listen and you'll see what I mean. I would highly recommend this CD to anyone who enjoys blues and/or traditional jazz piano -- even those who don't know they do. And take a look at Erwin's new Web site: www.erwinhelfer.com. I want to tell you about an organization which is vitally important for the blues today, called the Blues Foundation. It's an bunch of fans, artists, and people involved with all aspects of the blues. 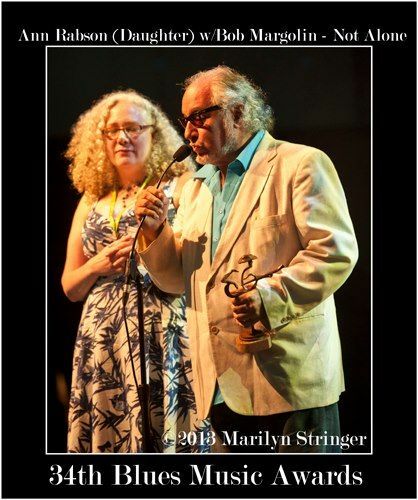 It has provided a real leg up to many blues musicians, including me as a solo performer and including Saffire, and has enhanced and elevated the blues world in general. DISCOUNTS - Many of the best blues venues give discounts on food, merchandise and cover charges. This can really add up! HAVE YOUR SAY - You get a ballot so you can vote for the Blues Music (formerly W.C. Handy) Award winners. It allows you to have a say in who receives these important and prestigious awards. I've been nominated often for various awards. 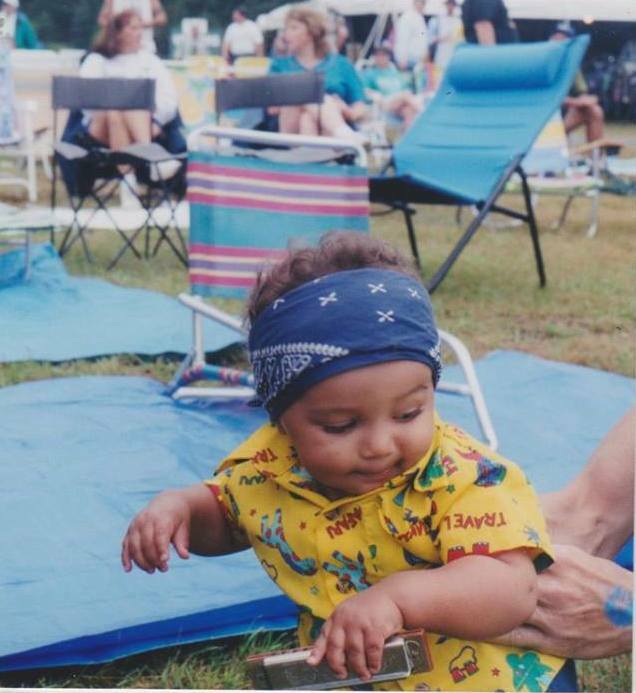 SAFFIRE has been, too and Saffire's own Gaye Adegbalola won Song of the Year one year for her popular composition "Middle Aged Blues Boogie" (which everyone knows as "Young Young Man"). ALL THE NEWS THAT FITS THE BLUES - You get a very interesting and informative quarterly newsletter. 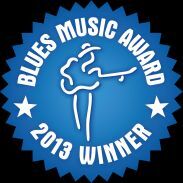 BEST SEATS IN THE HOUSE (party) - You have first chance for tickets to the Blues Music Awards show. A wonderful cavalcade of blues stars held in Memphis every year. Kind of like the Emmys or the Oscars with a better groove, better clothes and a whole lot more fun. LIKE A BIG HOUSE PARTY! The Blues Foundation is "on a mission" to preserve Blues history, celebrate Blues excellence and support Blues education. Please check them out at www.blues.org or call 800-861-8795 and join up today. I've been spending a lot of time in the past few years playing shows at schools in Illinois, Indiana, Iowa, Maryland, New York, Pennsylvania and Virginia, and in Canada in Ontario and New Brunswick. I'm having an amazingly good time. I've played shows for students in grades K through 12, and I'm delighted to say that the blues are a big hit at every age. Click here to see a wonderful drawing that a student named Shawn Briggs did for me and that I wanted to share with you. It's of the two of us hanging out! Very bluesy, don't you think? To see some snapshots of my trip to the beautiful town of Sumperk, in northern Moravia (Czech Republic), where I played at the BluesAlive festival in November 2000, click here.